today's polish is Maybelline Color Show Fuchsia Fever. it's a strange one. the color in the bottle is a bright, blue toned berry... but on the nail it's much darker and more red. it applies like a neon... quite watery and thin, needing three thick coats to be fairly opaque, and dries to a rubbery finish. after adding a shine topcoat, the finish changes to looking quite like a jelly! you can see some visible nail line, but not nearly as much as the photo suggests... the camera lens is like an X-ray for this polish, unfortunately! 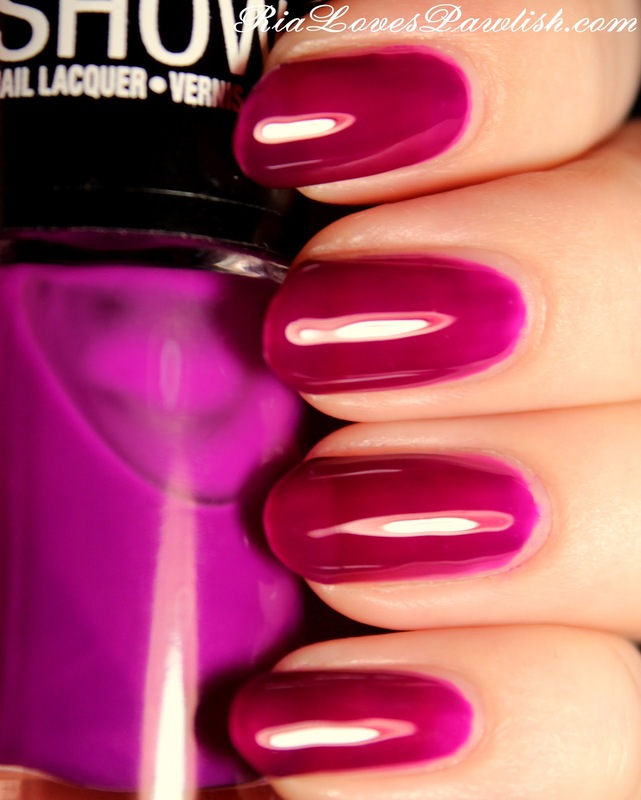 three coats Fuchsia Fever, one coat Seche Vite. this is definitely not one of my favorite polishes, i think you can find a similar color with a way better formula!